We are all familiar that certificates are documents which serve to certify a certain information or fact about something or someone. Certificates, therefore, are considered as a written piece of evidence about something (e.g. an individual’s credibility or participation in certificate an event). 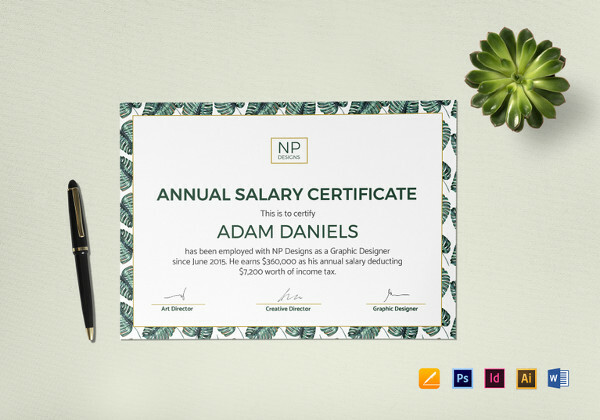 Every certificate is unique from one another. Different types of certificates serve different purposes. Achievement certificates, for example, serve as a proof of one’s achievement, usually in a certain subject or course. 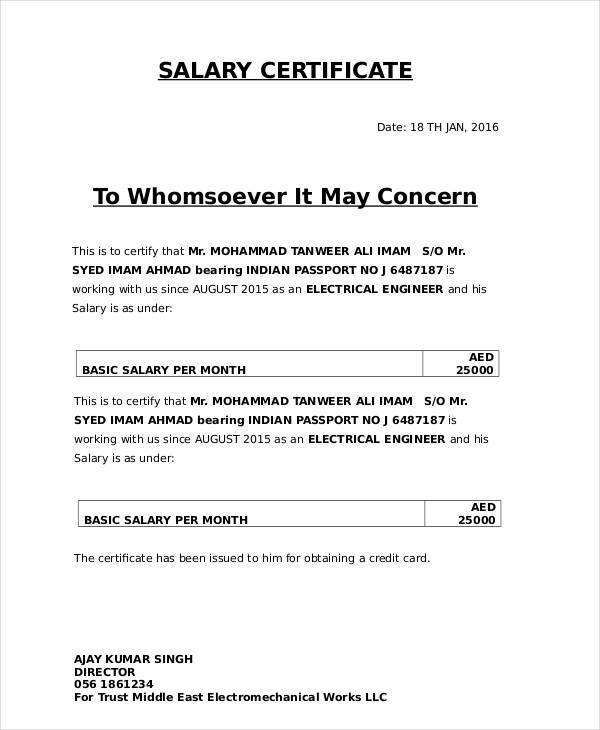 One may want to design his/her own certificates for future uses. However, designing a certificate may not come easy to some, thus the purpose of certificate templates. 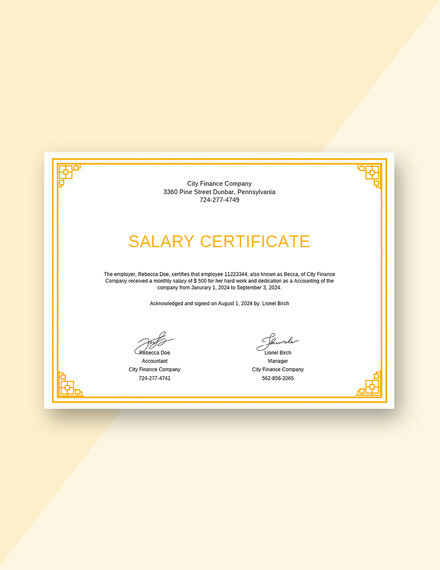 A salary certificate in word is a type of certificate given by an employer to an employee upon request. 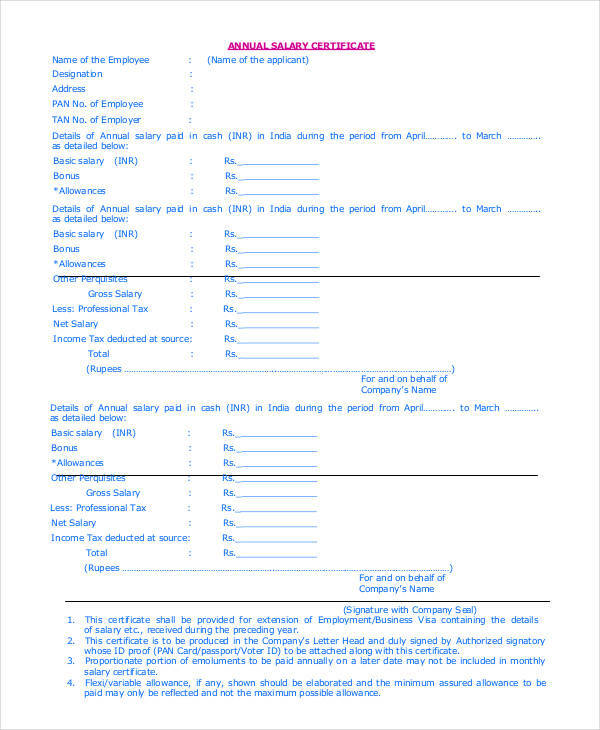 This is an official document primarily used as a proof of an individual’s total income, including deductions and other information regarding his/her income. 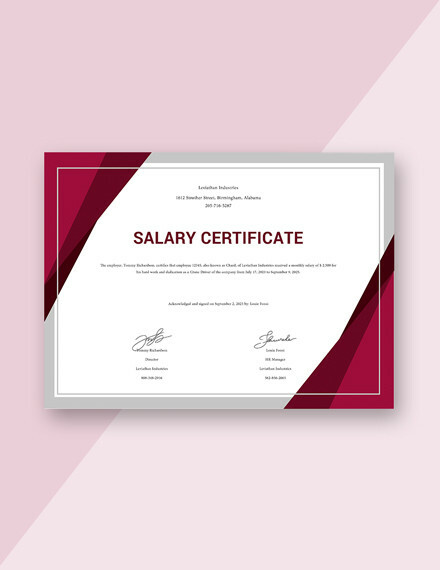 The purpose of requesting a salary certificate usually varies in every employee. 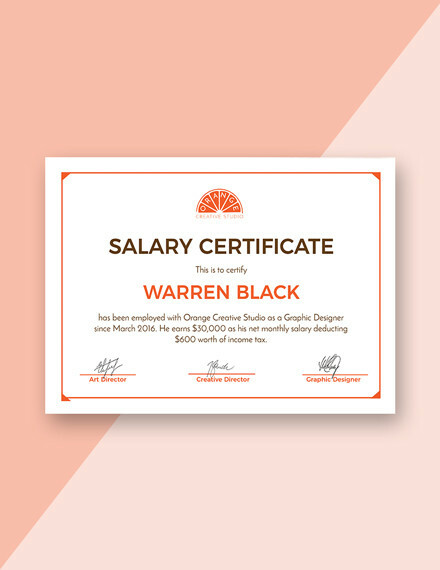 However, financial institutions such as banks usually request for salary certificates from an individual in the instance of applying for a financial service (e.g. 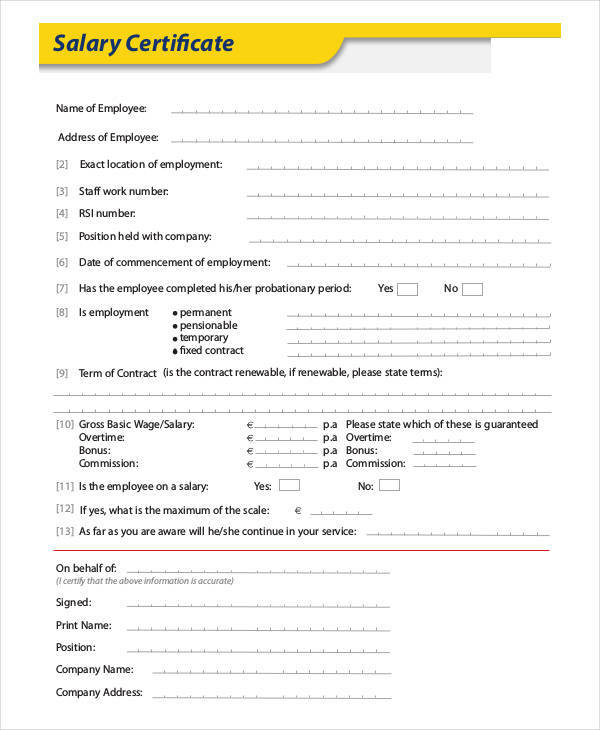 loan application). 2. 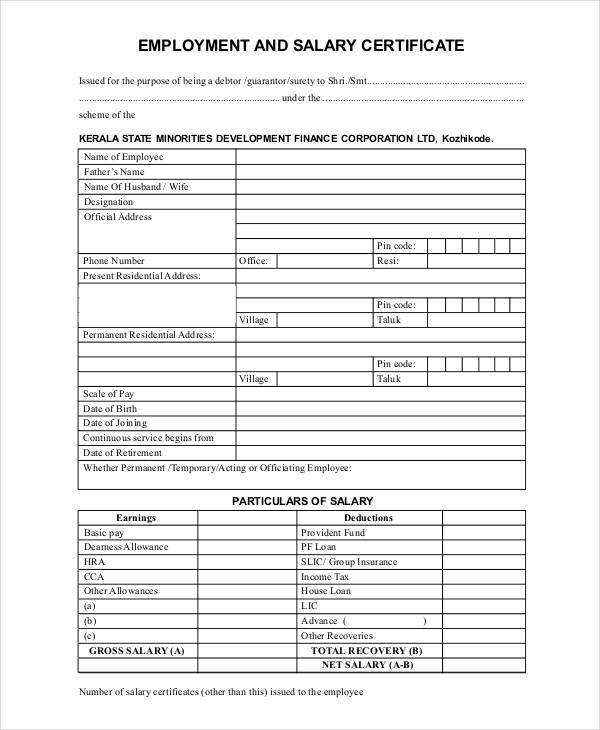 Details of the employee, including his/her name, current address, current company or employer (including address) and current position, and monthly salary in figures (including breakdowns and deductions). You may also see what is an academic certificate? 3. 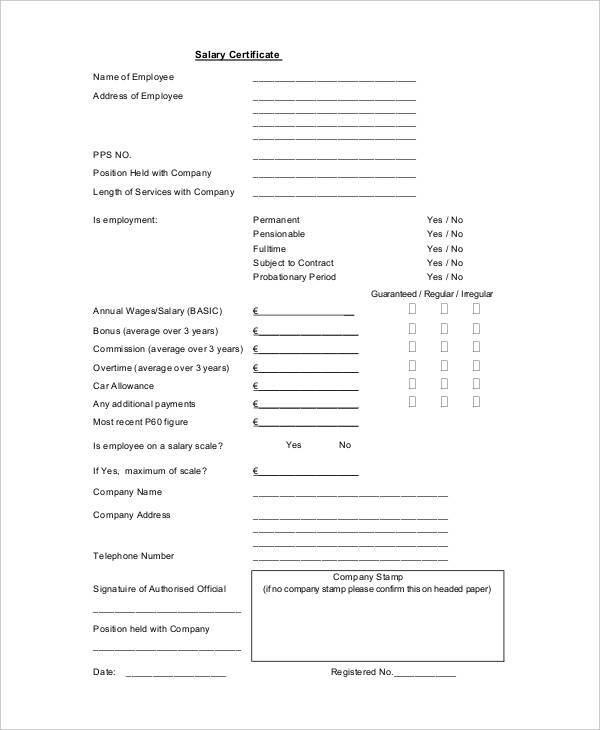 Name of institution requesting the certificate, including name of company and address. 5. 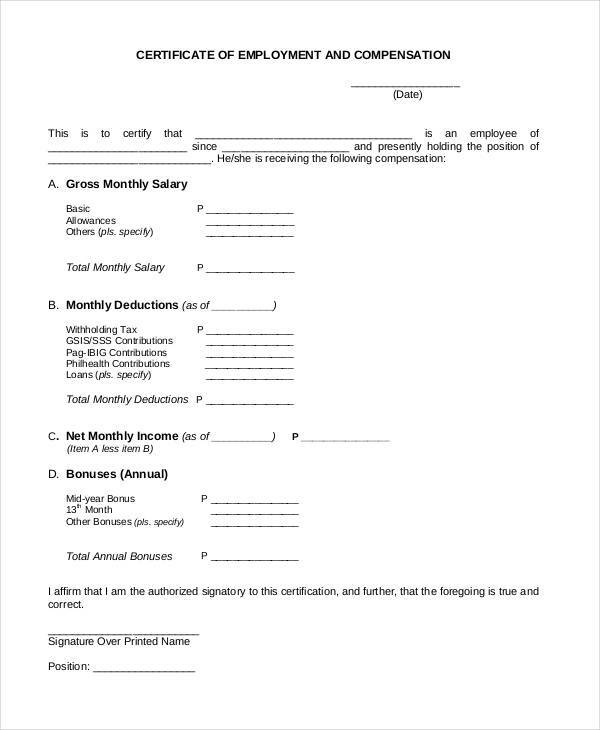 Signature and need of certification of HR department head and employer or office head. This basically contains the signature of the one issuing the certificate. This may also include office stamp (if any) including the date and place of issuance. 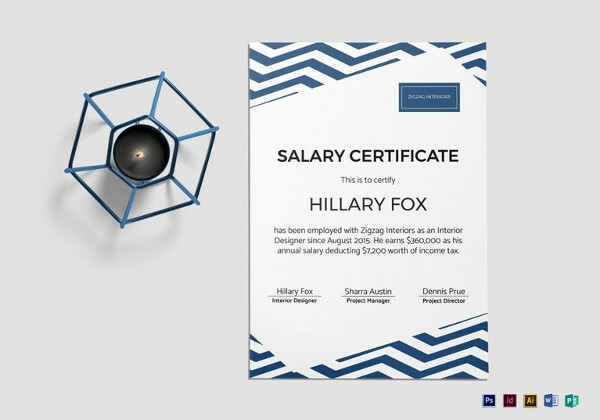 In writing a salary certificate, there are a number of certificate examples and templates to use as your reference. 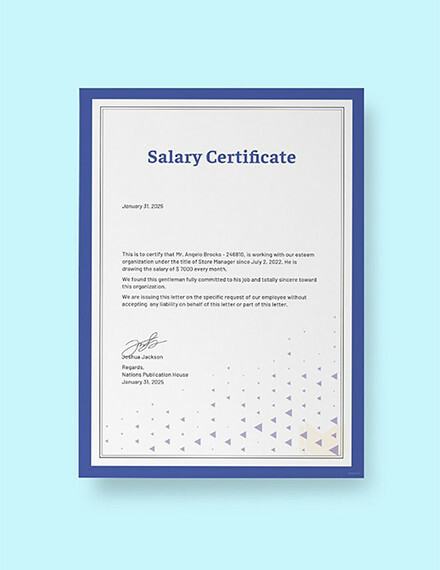 However, you may want to experiment and try designing your own certificate, so here’s a list of tips and guidelines to help you in designing and creating your own salary certificate. 1. Know what type of certificate to create. This is necessary to be able to determine the type of theme and template to use. 2. Think of a theme. 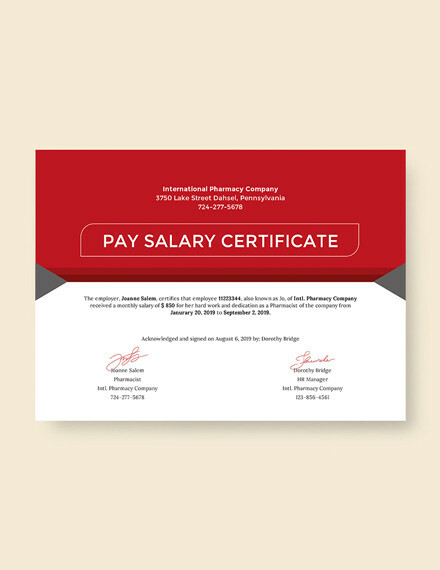 Salary certificates typically need to be formal or professional looking. You may, however, use casual themes on some types of certificates. 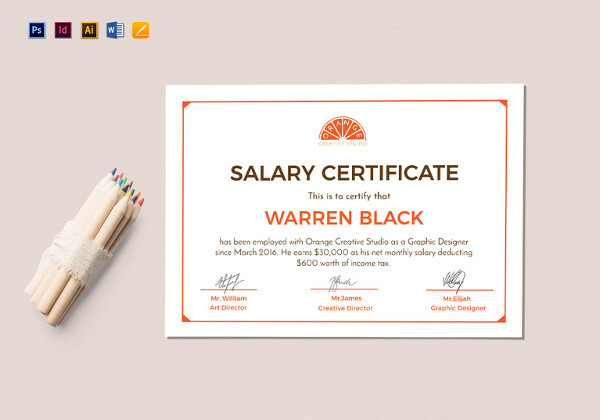 You may also see how to make your own certificate. 3. Decide on the template you are going to use. 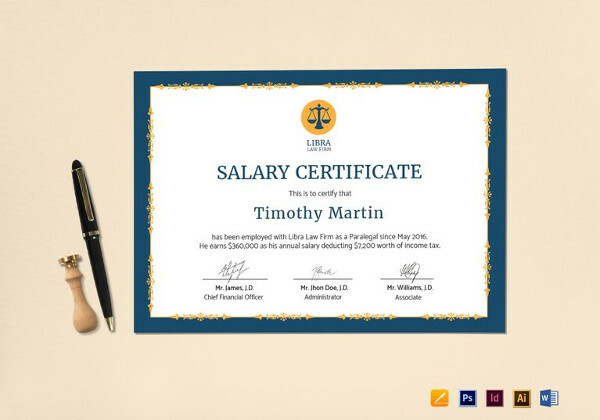 You can design your own template using different tools, or download some salary certificate templates for your convenience. 4. 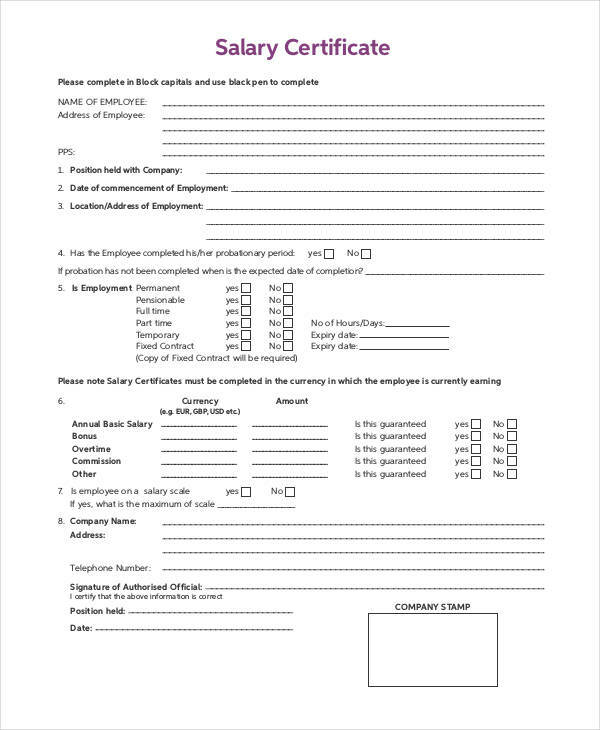 Fill the certificate with the necessary information. 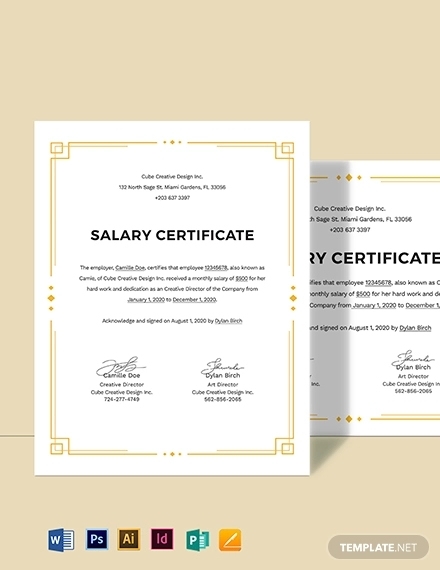 You may print a certificate in pdf and write on it using ink pen, or print one with complete information. Checking for spelling errors (names, most importantly) and other typographical or grammatical errors. Do this a million times, if you must, just to be sure. You may also like certification templates & examples. Finally get your certificate signed by the proper authority. You need to, of course, validate your certificate.